New analysis has revealed the number of Year 6 children classed as "severely obese". The number of 10 and 11-year-olds classed as severely obese, the most overweight scale, in the final year of primary school is nearly double that of those in reception, new analysis has found. The Local Government Association (LGA), which obtained the figures, said this shows children are gaining weight at a drastic rate as they go through schools. The LGA, which represents 370 councils in England and Wales, warned the severe child obesity rates are contributing to a "multi-billion pound ill-health time bomb". Severe obesity puts people at serious health risks, including diabetes, heart disease, stroke and cancer. Severe obesity can also shorten a person's life by 10 years - an equivalent loss to the effects of lifelong smoking. In adults, a BMI of 40 or above means a person is severely obese, at least 60% higher than the upper healthy weight BMI limit of 24.9. The first data of its kind for 2016/17, obtained by the LGA and supplied by the National Child Measurement Programme (NCMP), shows a total of 22,646 out of 556,452 (4.1%) of 10 and 11 year-olds are classed as severely obese. This is nearly twice that of the 14,787 out of 629,359 children (2.35%) of four and five year-old children in reception class. Severe obesity rates are highest in children living in the most-deprived towns and cities, and those from BME groups, which the LGA suggested shows a need for more targeted interventions. 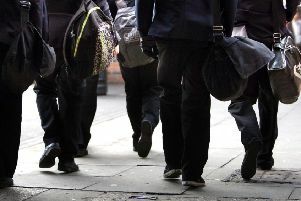 Despite budget reductions, it said councils are spending more on running effective prevention schemes to help children stay healthy, which is key to tackling the child obesity crisis and reducing future costs to hospital, health and social care services. But it added that this prevention work, including the ability of councils to provide weight management services for children and adults, is being hampered by a £600 million reduction in councils' public health budgets by central government between 2015/16 and 2019/20. The LGA is calling for reductions in public health grants to be reversed by the Government and for further reforms to tackle childhood obesity. This includes councils having a say in how and where the soft drinks levy is spent, better labelling on food and drink products, and for councils to be given powers to ban junk food advertising near schools. Councillor Izzi Seccombe, chairwoman of the LGA's Community Wellbeing Board, said: "These new figures on severely obese children, who are in the most critical overweight category, are a further worrying wake-up call for urgent joined-up action. "The UK is already the most obese nation in western Europe, with one in three 10 and 11-year-olds and one in five four and five-year-olds classed as overweight or obese, respectively. "Unless we tackle this obesity crisis, today's obese children will become tomorrow's obese adults whose years of healthy life will be shortened by a whole host of health problems including diabetes, cancer and heart disease. "Cuts to councils' public health grants by Government are having a significant impact on the many prevention and early intervention services carried out by councils to combat child obesity. "This short-sighted approach risks causing NHS costs to snowball due to the ill health consequences of obesity in our younger generation." A Department of Health and Social Care spokesman said: "Our childhood obesity plan is among the most comprehensive in the world -our sugar tax is funding school sports programmes and nutritious breakfasts for the poorest children, and we're investing in further research into the links between obesity and inequality. "However, we have always been very clear that this is the not the final word on obesity, and we have not ruled out further action if the right results are not seen."